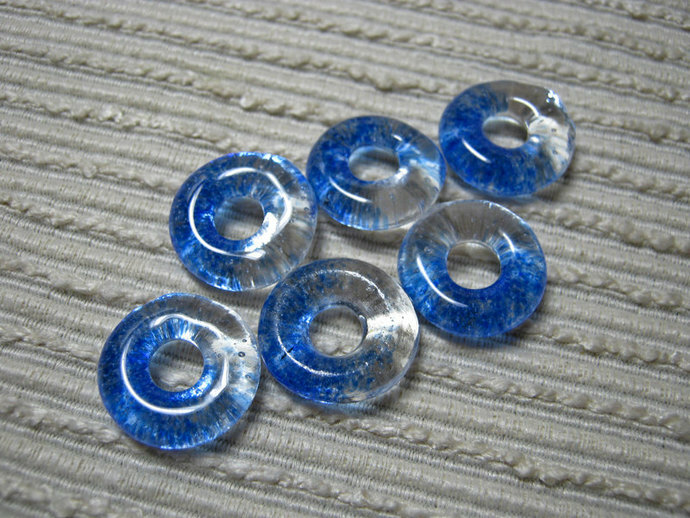 THESE 6 OCEAN BLUE HANDMADE ROUND GLASS BEADS are created by layering transparent clear, and blue glass frit into a mold and then melting to 1425 degrees in a glass kiln. 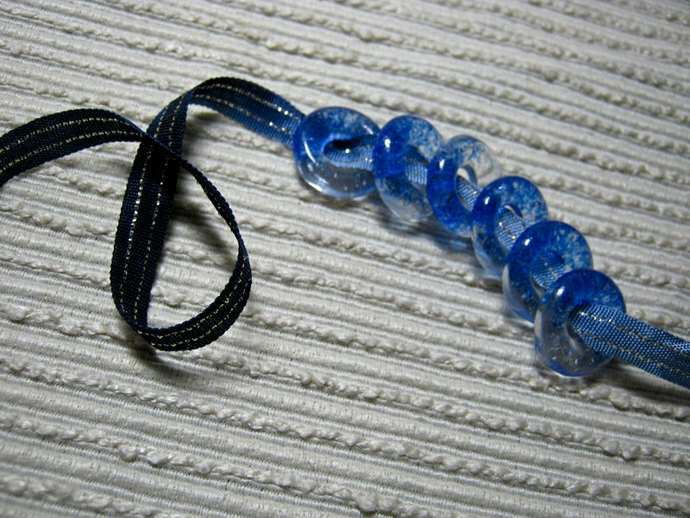 THESE BEADS WILL BE MADE ESPECIALLY FOR YOU. Depending on the quantity ordered, your special order will ship within 1-2 weeks, sometimes sooner. 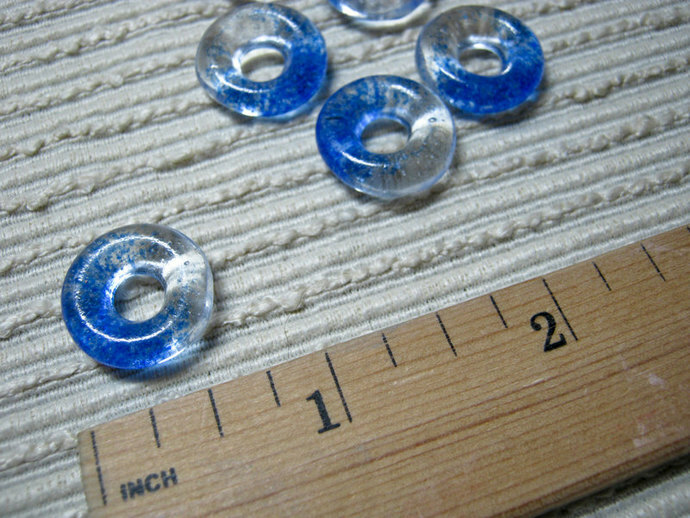 LOOKING FOR OTHER BEADS that MATCH THESE or OOAK JEWELRY? 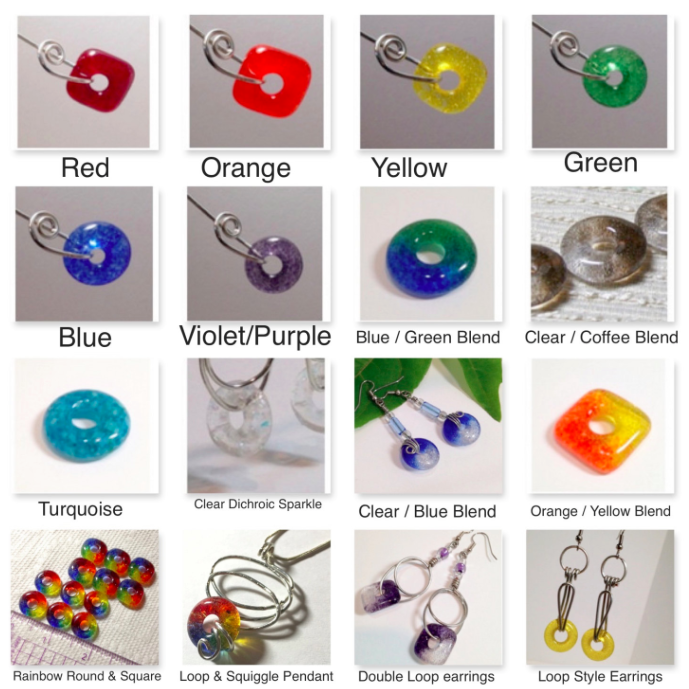 All of my creations are original designs and are individually hand-crafted. The handmade quality and creativity are what set my work apart from mass-produced products. Color, size, and texture variations contribute to the uniqueness of each piece. Item photos are posted in low resolution for web purposes and colors may vary slightly depending on your monitor settings. WANT MORE? If you would like more for a special project, I will be happy to make them for you. I can even create custom blends for you in a variety of other colors. I can also make them round. Custom orders require about a week to create and ship. Please 'contact the owner', if you need more than what is offered here or a custom blend. Contact me for pricing of quantity discounts of 10 or more sets of beads.